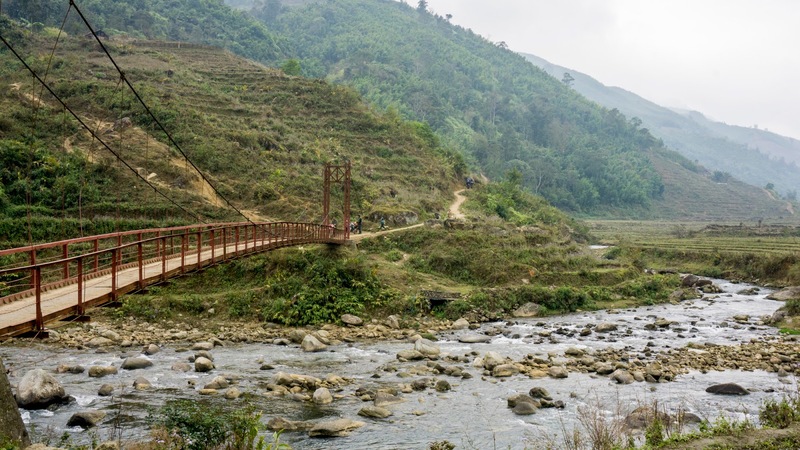 An overnight train from Hanoi to Lao Cai, followed by an hour’s drive to Sapa where we stayed for one night, before embarking on two days trekking in the surrounding areas. 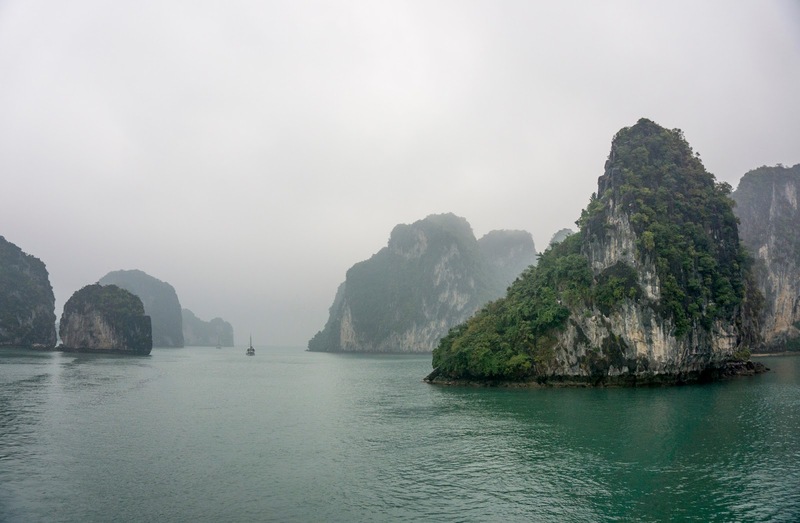 After the same overnight train back to Hanoi, we spent a day recuperating (sore legs – very sticky mud), then drove to Ha Long Bay (about 3.5 hrs) to stay overnight on a junk boat whilst cruising around the hundreds of islands. Then, back for another night, in Hanoi. 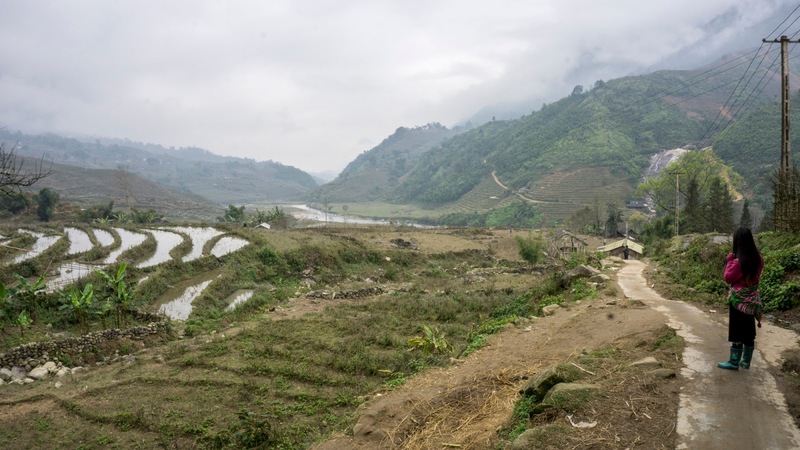 This week has been about marvelling at the beauty of some of Vietnam’s landscapes. 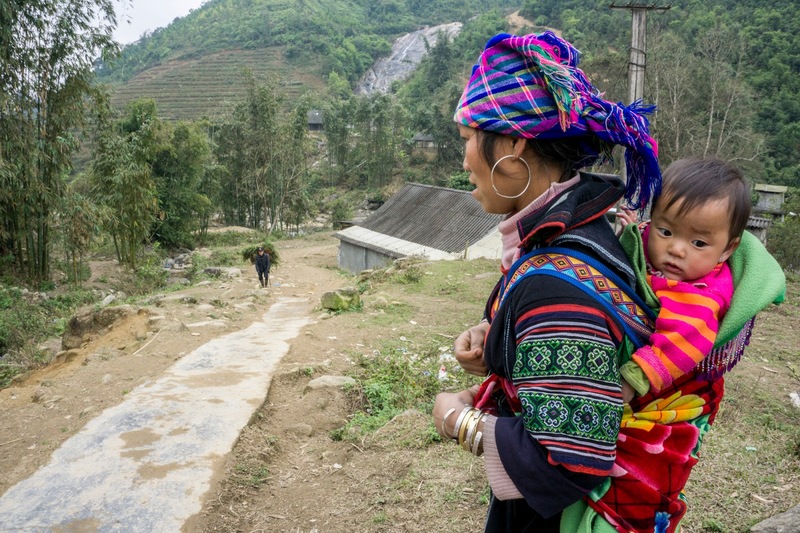 Sapa is high up in the hills in the very northwest of the country, the surrounding areas home to ethnic minorities living in rudimentary villages, dotted amongst the vast expanses of slopes and rice terraces. 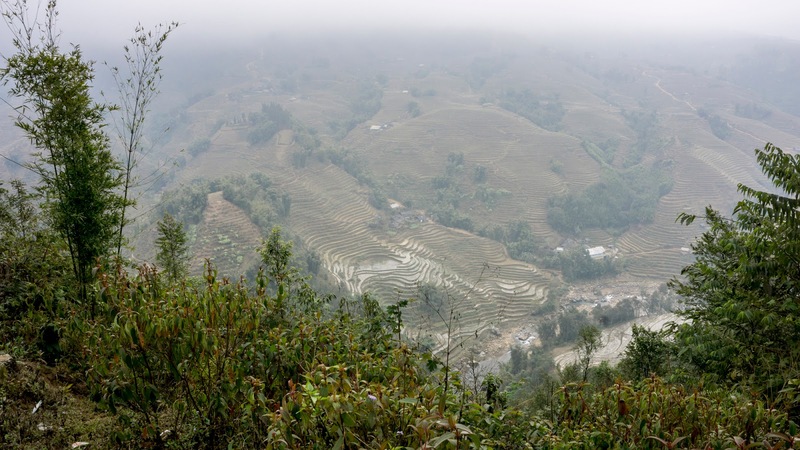 In the summer, rainfall is frequent but the area is verdant because of it, with rice turning a golden hue before being harvested, skies often clear and bright. 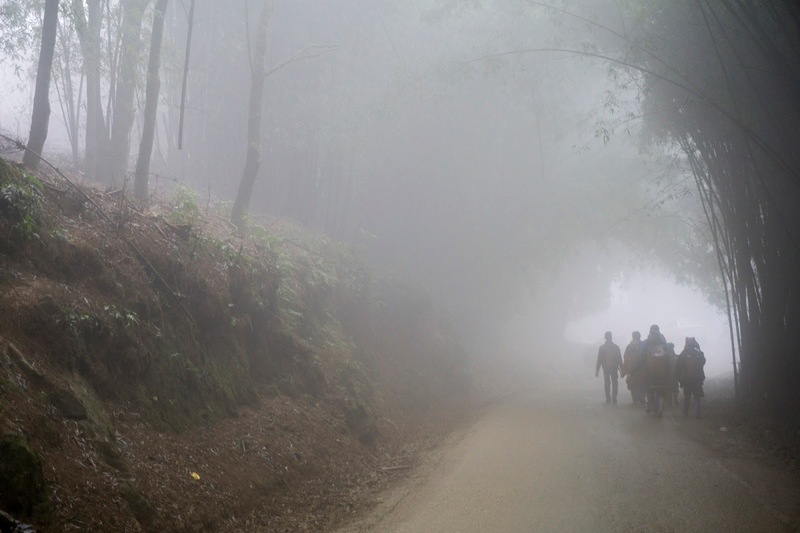 At this time of year, temperatures and visibility are low, fog thick and trekking an endurance test. 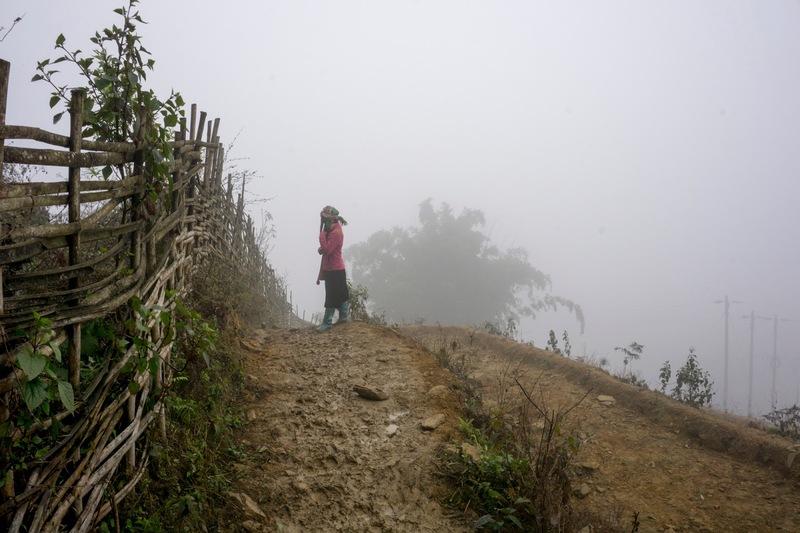 Whilst it doesn’t rain much in winter, the high altitude mists keep the ground wet, and well-trodden paths turn into a quagmire of mud as sticky as wet clay, pulling the trainers right off your feet. Slopes are steep and as slippery as ice. We walked through this stuff for 12 km and ached all over for three days. I didn’t mind though, because the air was clean, the exercise was rejuvenating, the fog lifted as we descended and we were treated to some spectacular views. 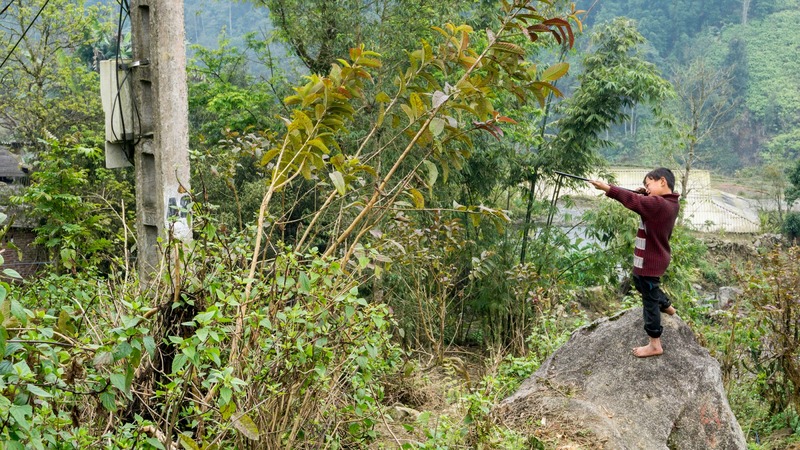 Not to mention our guide Lang from Sapa Sisters, who was just great. 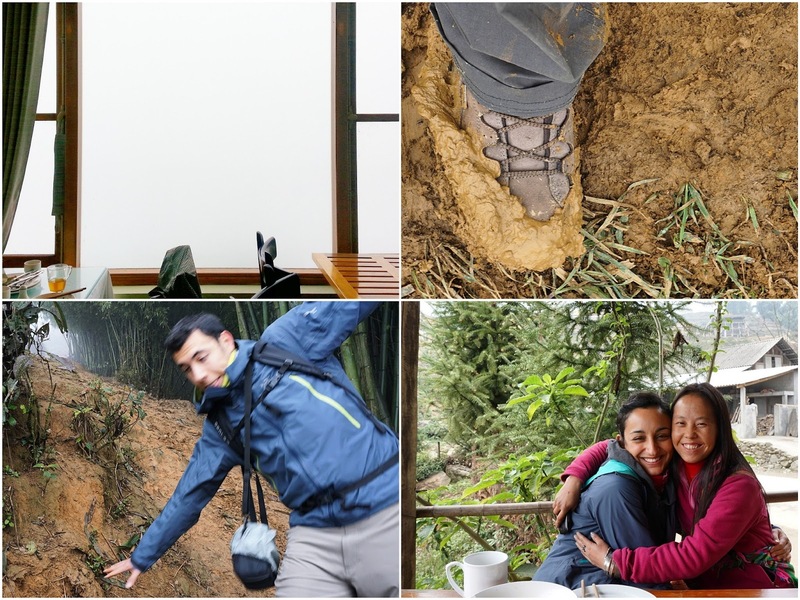 More on the trek, and the food included, further down. 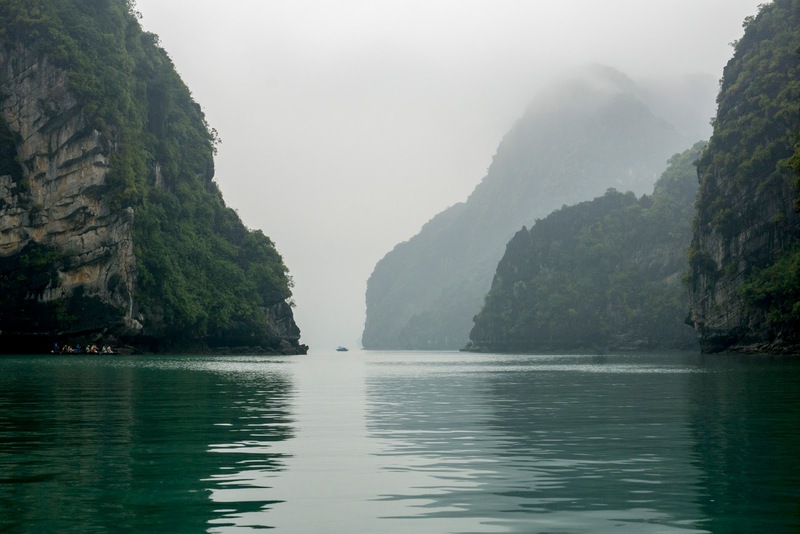 Ha Long Bay is very impressive, from both an aesthetic and geological perspective. 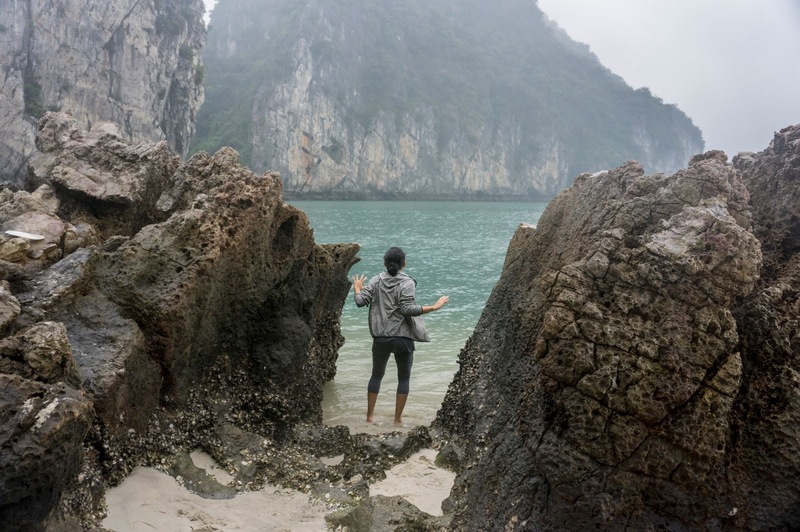 A UNESCO Natural Heritage site, it’s a archipelago of around 1600 limestone monolithic islands, each topped with thick jungle vegetation, rising spectacularly from the ocean. Their presence is down to 500 million years of very slow, very gradual, tectonic activity. 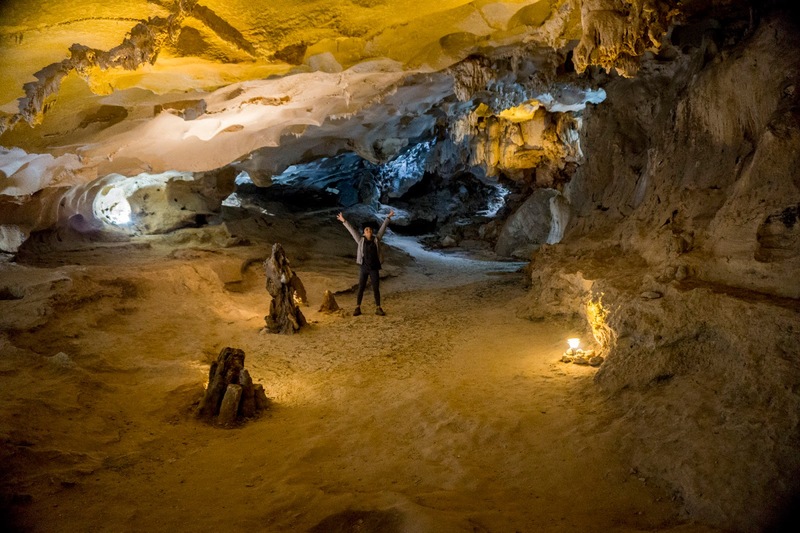 Several of the islands are hollow and home to enormous caves, with limestone walls sparkling from the mineral content, looking a lot like melted wax candles. Around 1600 people call this bay home, living between the monumental towers on floating houses, earning a living fishing, rarely visiting the mainland. It’s a unique environment, I loved it. Wherever we’ve been this week, the buzz of activity leading up to the lunar new year on 19th April has been unmistakable. 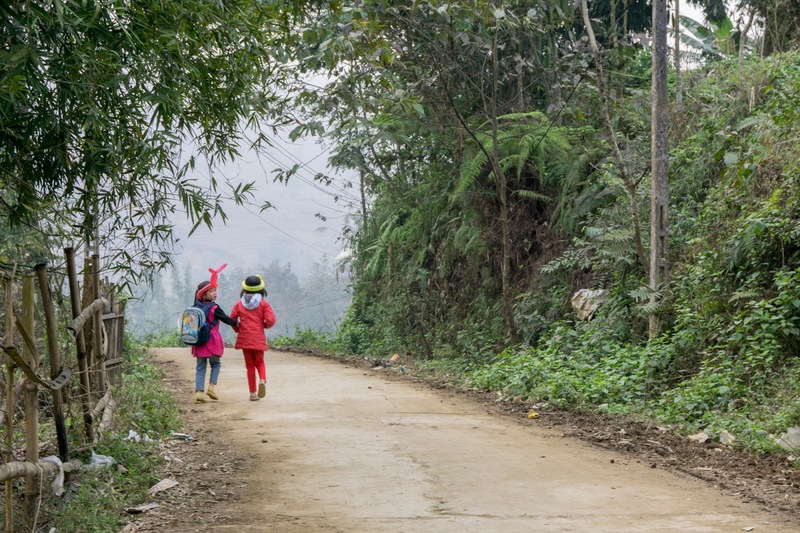 It’s celebrated throughout Asia, often referred to as Chinese New Year, but in Vietnam it’s called Tết. I’ve seen a whole host of festive-related things being transported on the backs of motorbikes and mopeds as people start stock piling for what is a multi-day celebration. There have been rather large but young peach and apricot trees, bereft of leaves but covered with tight pink flower buds ready to burst into life. They’re sawn from the base, much like a Christmas tree, and positioned and decorated with lights in a similar fashion, standing proud in hotel lobbies, shops, homes. Miniature trees laden with mandarins are lined up ready for sale at the side of highways, alongside plastic bags filled with large gold fish. I’m seeing shrines where I didn’t see them before, in businesses and hotels, surrounded with offerings of food and bowls with the fish in. I’ve seen three tiers of chicken cages filled with three dozen birds, a stack of plasma TV’s in boxes which get reduced at this time of year, and even a freshly slaughtered, albeit small, water buffalo, all hoisted up onto the backs of motorbikes. The new year is coming. Excitement is in the air. We’ll be in Hoi An at the time and a lot of places will be closed; I’m secretly hoping a local will invite us into their home to join in the family festivities. I was less of a food tourist this week, focussing more on enjoying the great outdoors. But there were, of course, still good meals involved. 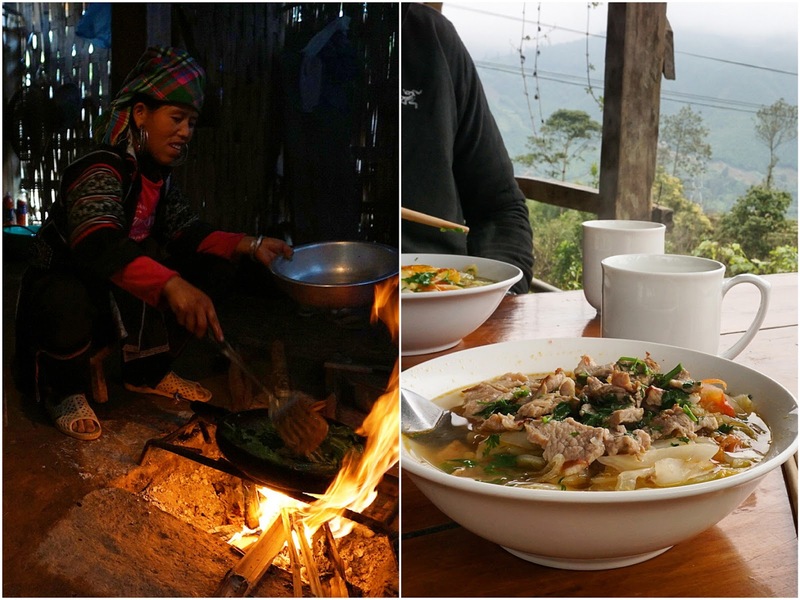 Two of the highlights were the home-cooked meals we received during our two day / one night trek with Sapa Sisters. 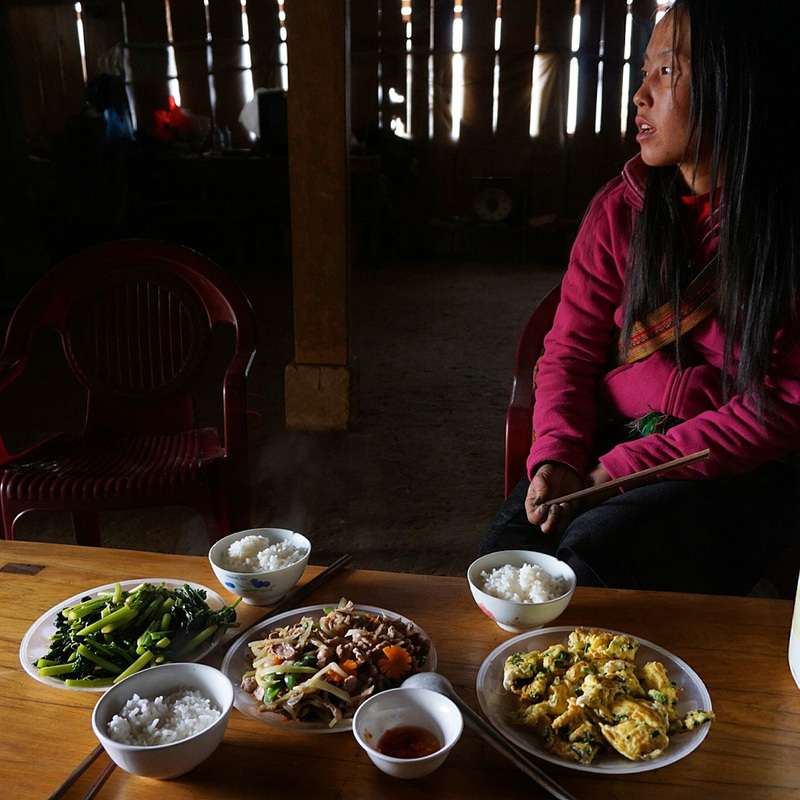 Our guide, Lang, a local girl from the Black H’mong tribe, who was five foot nothing and a total sweetheart, took us to her aunt’s house in the village of Tả Van for lunch on the first day. An impressive size for those parts, the kitchen was in an outhouse, and there was a separate building for sleeping and storing the huge sacks of rice that will see them through the year. 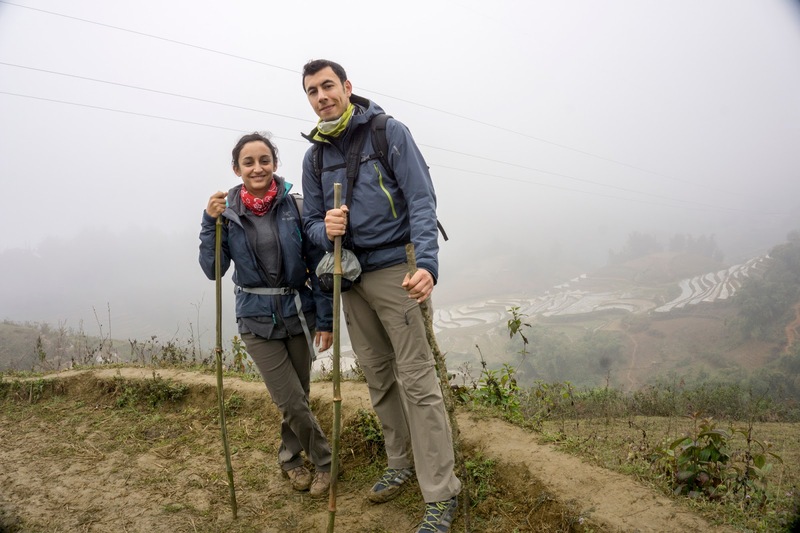 Dirt floors, wooden slat walls, a toilet outside in a little hut, pigs, puppies, chickens and ducks roaming around, a stunning view of rolling hills and rice terraces. It’s a humble dwelling, but what it may have lacked in modern comforts was more than made up for in hospitality. 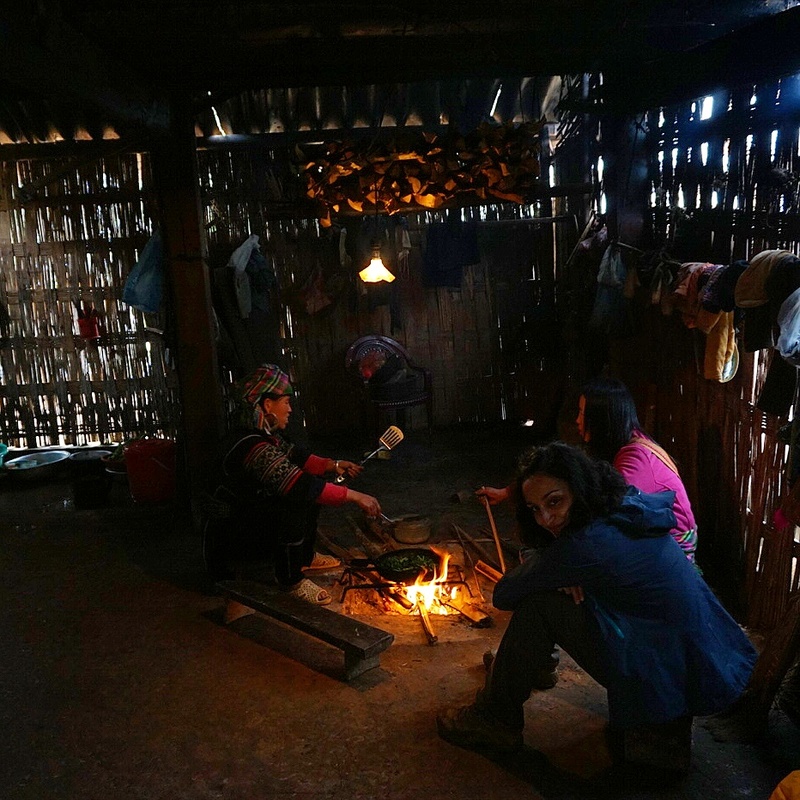 The trekking tour included a night in a homestay, which was like a large open barn with two floors. Upstairs was a row of about 20 mattresses and thick blankets, I’m sure most of them occupied each night during peak season. Turns out we were the only ones staying there that night, so had the whole floor to ourselves. It was necessary to double up on those covers though, it was pretty cold. Downstairs is where the family who own it live, sleep and cook. 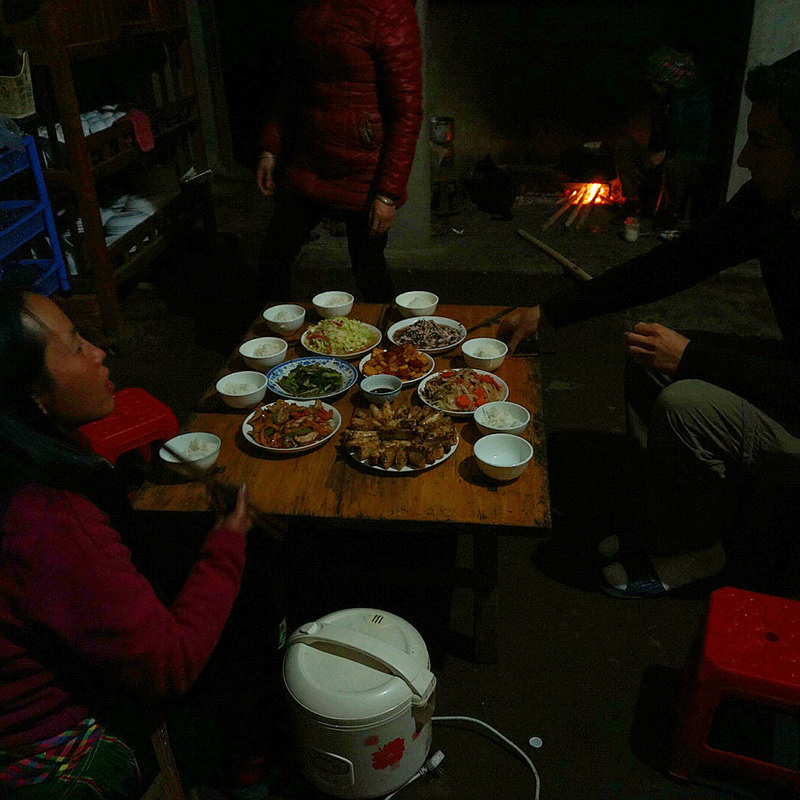 We joined them at dinner, an impressive spread of boiled greens, fried spring rolls, a tangy beef salad, chicken with veg, pork with veg, chicken feet, and fried tofu, warming our toes over the hot coals, the cat sleeping in the fire ashes. 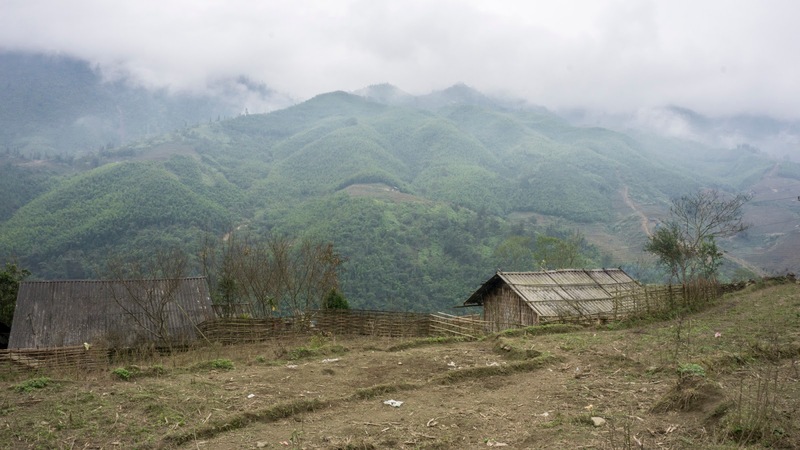 It might have been the middle of rural northwest Vietnam, 3000 feet above sea level, with no doors, much in the way of heating, and two light bulbs illuminating the whole space, but it had hot running water and even wifi. We stayed up late into the night watching Vietnamese soap operas, gossiping with Lang about relationships, while one of the teenagers helped his younger cousin with his maths homework. Bun cha (pork noodle salad), no. 1 Hang Manh Street. 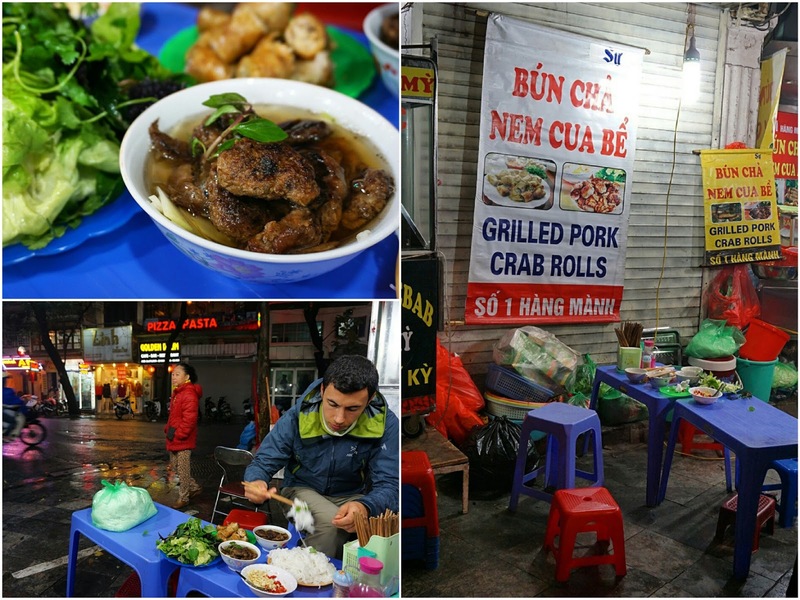 You’re not allowed to visit Hanoi and not try bun cha (an unwritten rule); it has a strong association with the city, and some say it’s where it originated. 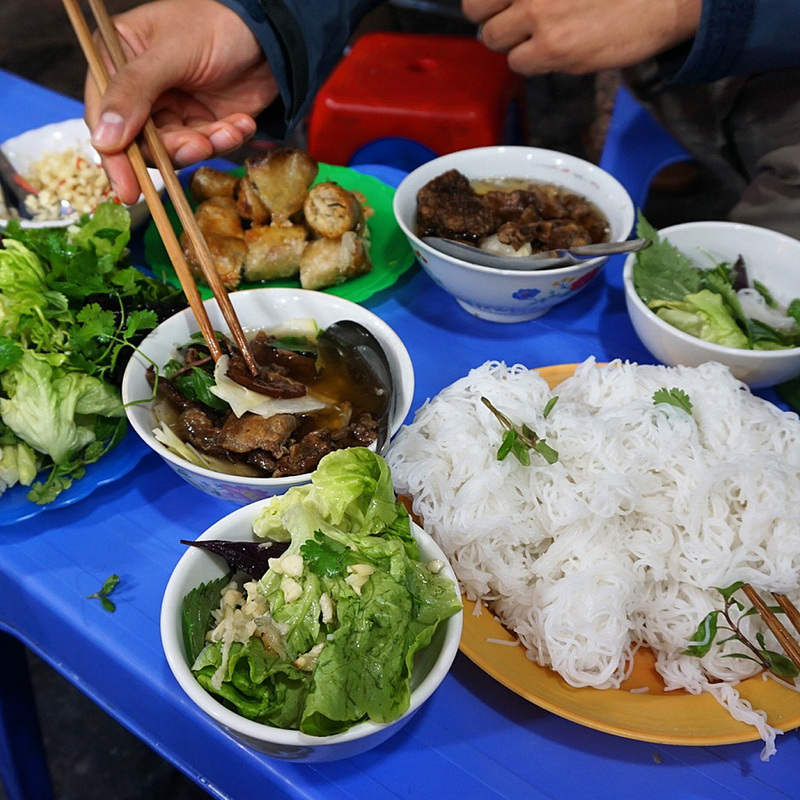 It’s a spread of cold rice noodles, a pile of verdant herbs, grilled pork and pork patties (the latter of which were seriously bloody good), a dipping sauce of fish sauce, rice vinegar, sugar, and a whole bowl of raw chopped garlic and chillies. You basically mix everything up in your eating bowl, a bite at a time, to make a sort of pork noodle salad. And they come with crab spring rolls. A bit about rice. 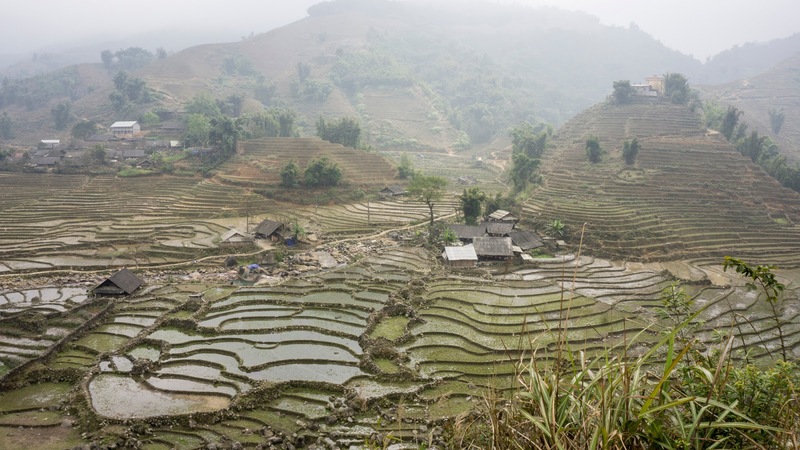 Vietnam is the second largest exporter of rice in the world (after Thailand). In terms of production, China takes the top spot, but they also eat most of it, so not that much leaves the country. We were also told by Lang that when serving rice, you must always serve two or more spoonfuls at a time. 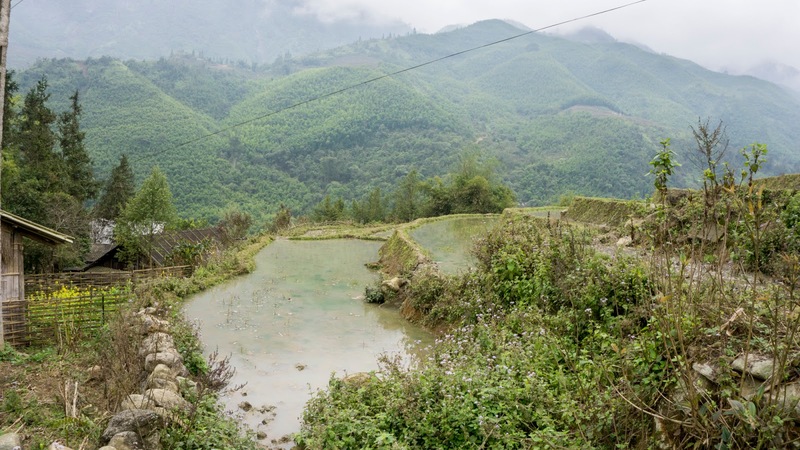 Just one paddle of rice is associated with death, with solitary spoonfuls served at funerals. I’m not sure if this is a belief across the country, or just within her tribe. 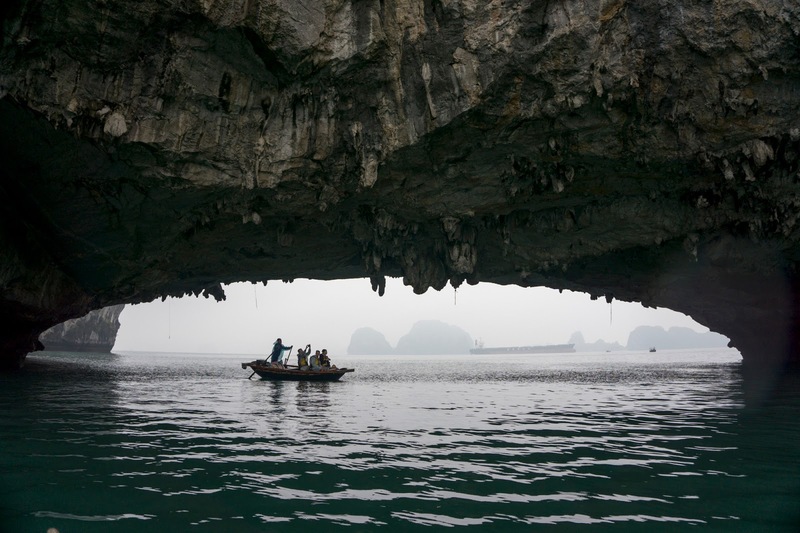 Ha Long Bay Tours. 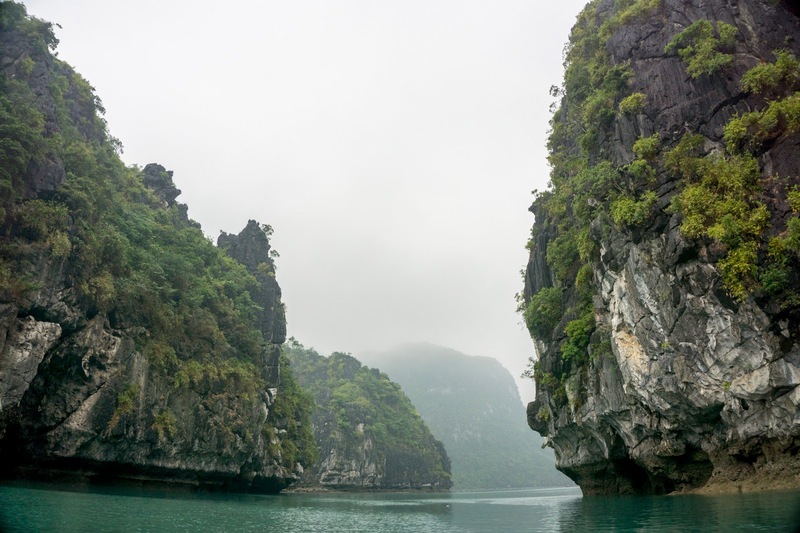 Ha Long Bay is on the itinerary for a lot of people who visit Vietnam. Consequently, there are a hell of a lot of tour operators, with a lot of boats (around 500 in total, I’m told) offering to take you onto the waters and stay for one or more nights on their vessels. Some of these boats are pretty big, and play loud music (god, I sound old). 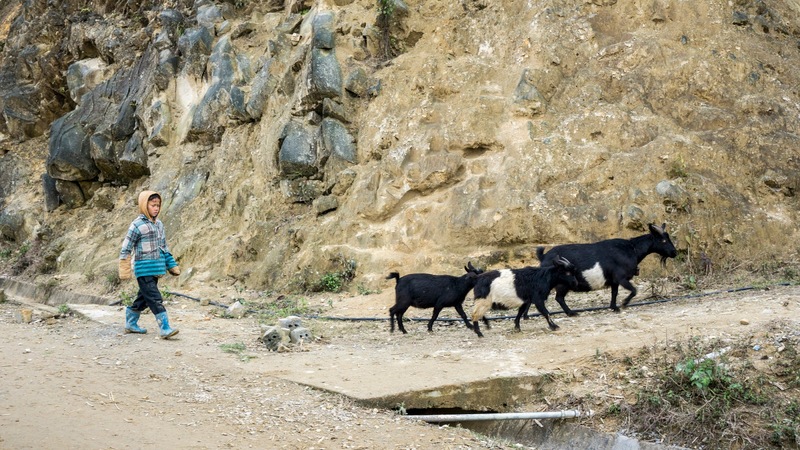 Most of them follow the same routes, visit the same islands, and at peak season, this no doubt means too many tourists. I did a bit of research before deciding who we’d go with and found IndoChina Junk. 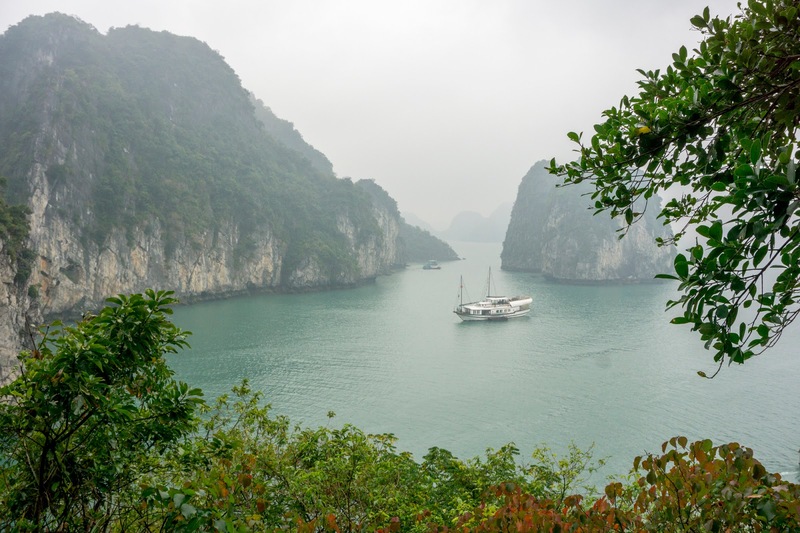 They have a handful of boats, the biggest with only 20 or so cabins, and have exclusive access to Bai Tu Long Bay. They follow a route only their boats are allowed on, dock in an area with no others around, and include some great activities. So I would recommend paying a bit extra and going with them. Highlight. Sure, Ha Long Bay is always shown in glorious sunshine with azure waters and clear blue skies. And that would have been no bad thing. 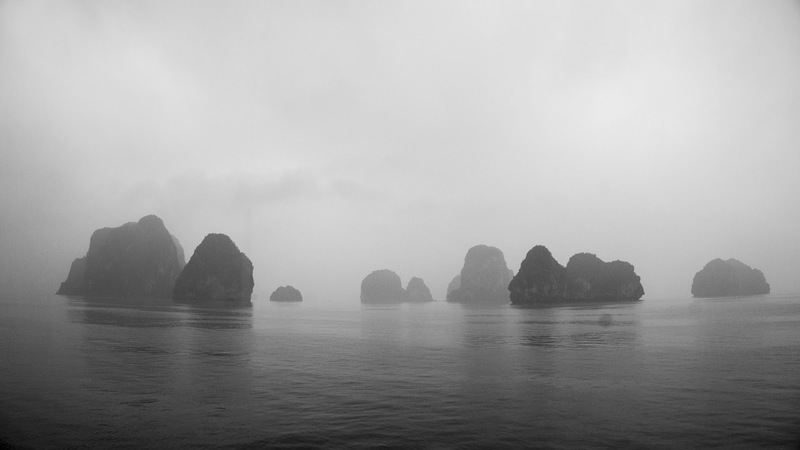 But despite the fact in was either raining or very misty during our short two day cruise around these waters, I totally loved it. Particularly the shower in our cabin, which had a porthole in the cubicle itself. I was showering with it open, watching these towering dark colossus passing in silence as I was doing so. 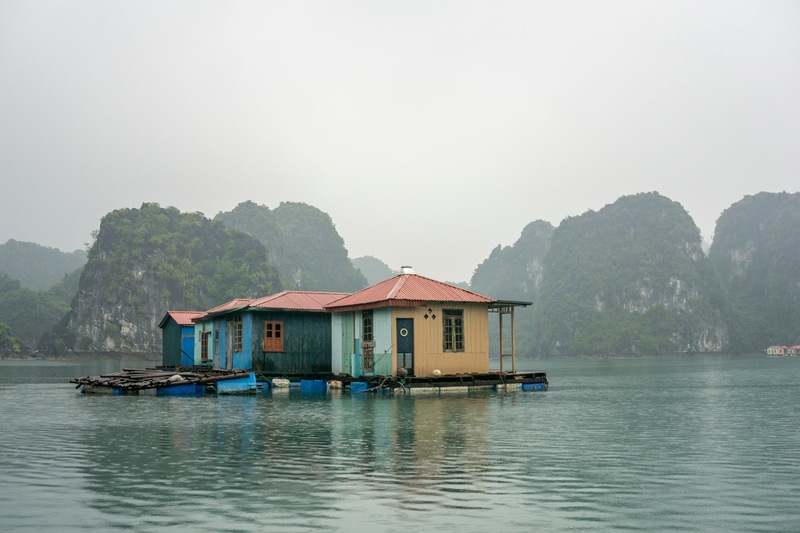 There was also kayaking, and visiting a fishing village with floating houses built on the waters around these islands – they basically live on the water, rarely visiting the mainland. Lowlight. 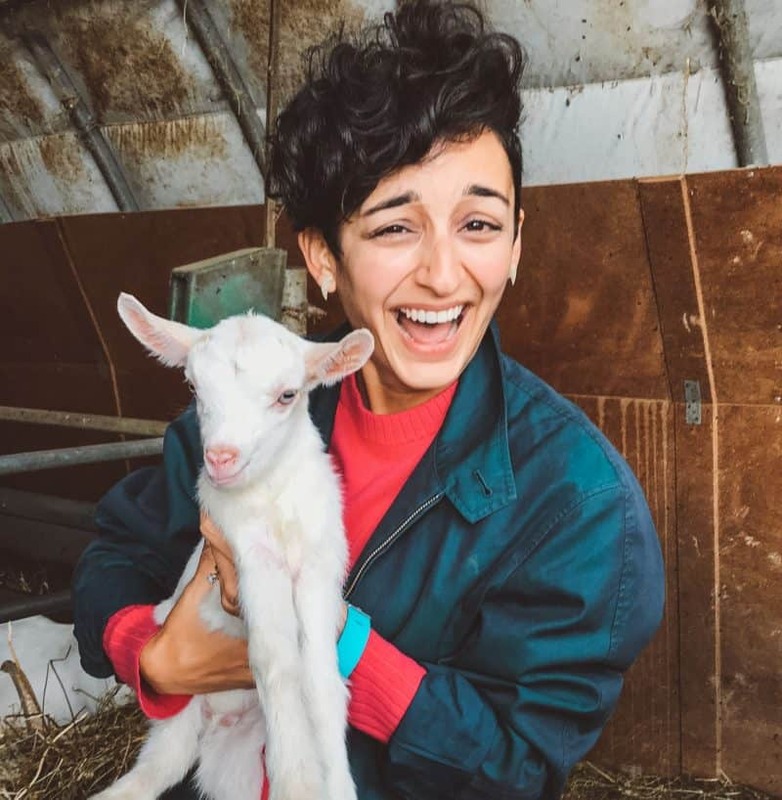 The start of this week was a painfully sad day for the London food blogging and dining scene – we lost our shining, smiling star. A gentleman in the truest sense, who made everyone laugh, who welcomed all, and who knew how to have a bloody good time. Our longest overnight train journey yet (13 hours – I’ll let you know how that goes), from Hanoi to Hue, where we’ll spend three nights. Then a short drive to Hoi An where we’ll be for four nights. We are the TravelGorillas.com. We chanced upon your blog and enjoyed the read.